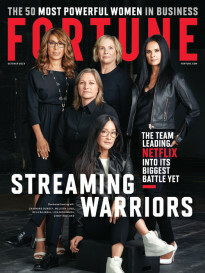 FORTUNE — One of the reasons copyright owners (the big media companies) find themselves without many allies in their effort to protect their business models is that they often set their own customers up as enemies. 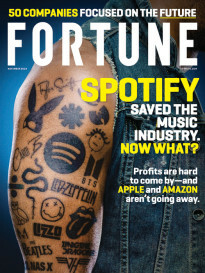 Just for instance, the recording industry spent years filing massive numbers of lawsuits against people it alleged were illegally downloading music. Not a good way to win friends and influence people to support things like SOPA when they come up. The latest example is a set of lawsuits filed by the all the major broadcast TV networks (except, so far, for ABC) against Dish Network (DISH). While Dish is the named target of the lawsuits, it’s actually the behavior of customers that the networks are attacking. The networks allege that the satellite TV provider’s new Auto Hop feature, which allows viewers to skip past commercials on recorded programs, infringes on their copyrights. That notion is “insane,” writes TechDirt’s Mike Masnick, a vociferous critic of the media industry’s approach to copyright enforcement. Maybe, but the industry made similar claims a decade ago in lawsuits against DVR maker ReplayTV and its owner, SONICblue. Those cases were never decided because the costly legal battle helped drive SONICblue out of business. Presumably Dish is more prepared than that startup company was to go the distance in court, if it comes to that. But the outcome is far from certain, however strange the networks’ legal arguments might appear. Leaving aside the questions of legality — and even of ethics — actions like this raise the question of whether the media industry factors in the possible effects on its long-term reputation, and therefore on its long-term business. It might be understandable that the industry would take to the courts to protect its legacy business models against the onslaught of new technologies. But all TV viewers know is that they would like to skip past or ignore commercials (as they have always done on other ways) and the media industry is trying to prevent them from doing so — and is using the courts to do it. So the next time one of those viewers is weighing whether to download that illicit copy of “Game of Thrones,” they’ll be that much less likely to care about whether the media industry would be harmed by it. And the next time an anti-piracy measure is introduced in Congress, they’ll be that much more likely to protest it.